Basseterre, St. Kitts, February 20, 2017 (SKNIS): The Government of National Unity’s recently concluded week of activities in celebration of its second year anniversary in office was described as successful, as Prime Minister Dr. the Honourable Timothy recapped the historic week. Another remarkable event was the Government Ministers and Officials visits to schools and Institutions on both islands on Tuesday, February 14. 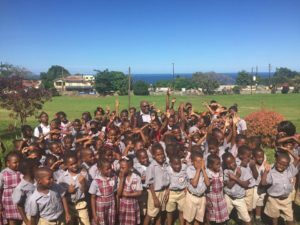 Prime Minister Harris said that the visits “attempted to show love to the students and to promote to them the idea of love so that they can develop to become loving patriots of St. Kitts and Nevis. He said that the experience was a very good one, noting that if one can build, promote and develop love and loveliness in the hearts of the young ones, St. Kitts and Nevis will be a much better place. Also of great importance was the One-on-One Consultations in each constituency led by government officials also on Tuesday, February 14, to which Prime Minister Harris described as historic. 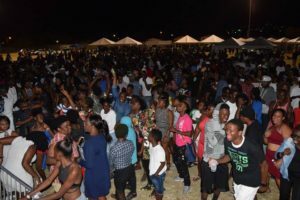 Prime Minister Harris expressed gratitude to all who played a part in making the Government of National Unity’s second year anniversary a success and noted that celebrations will continue throughout the year, as there is need for worthy celebrations. 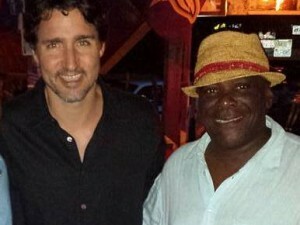 Other activities held in celebration of the week included an appearance on “Voices” on Winn FM Radio Station by Prime Minister Harris, the Honourable Ian “Patches Liburd and the Honourable Mark Brantley; a reception hosted in Nevis by Premier of Nevis, the Honourable Vance Amory; e-Government Mobile Application Launch; “Working for you” with guest appearances by Prime Minister Harris, Deputy Prime Minister the Honourable Shawn Richards and Premier Amory; public forums; a special Sitting of Parliament; the Launch of Skills Training Empowerment Programme (STEP); a Youth Explosion; and the Unity Solutions Programme in St. Kitts. 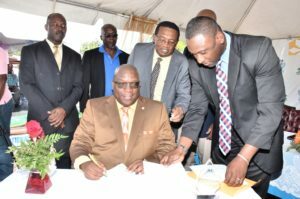 The week commenced on Sunday, February 12 with a church service at the Co-Cathedral of Immaculate Conception in Basseterre and culminated with the Prime Minister’s Reception at Government House on Saturday, February 18.